Preview: Music director Riccardo Muti announced a sprawling season at Symphony Center, including an exploration of the impact of the world’s great waterways on music, commerce and culture. Riccardo Muti was in a relaxed and convivial mood Monday as he pored over the details of the Chicago Symphony Orchestra’s 2012-13 season, his third as music director. The maestro also let out some tantalizing details of a planned Asian tour with stops in Taipei, Hong Kong, Shanghai and Seoul. Sept. 20-28: “The Wagner Effect.” Muti will kick off a season-long tribute to the bicentennial of Richard Wagner’s birth, and to his enduring influence on other composers such as Liszt, Brahms, Tchaikovsky, Mahler, Debussy, Shostakovich, Berg and Dvorak. He conducts Dvorak’s Symphony No. 5 in the opening concerts. 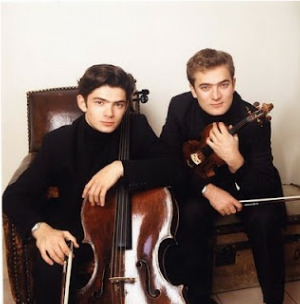 The brothers Capuçon — violinist Renaud and cellist Gautier, performing the Brahms Double Concerto with Bernard Haitink conducting, Oct. 18-20. Muti conducting Brahms Symphony No. 4 Jan. 17-19. Esa-Pekka Salonen conducting Act II of Wagner’s “Tristan und Isolde” with soprano Evelyn Herlitzius and tenor Stefan Vinke, both rising stars in Europe, Feb. 21-23, 2013. Sept. 21: “Carmina Burana.” Free concert of Carl Orff’s cantata at Millennium Park. This one took the roof off at Orchestra Hall recently and it’s a warm-up for the CSO’s Oct. 3 tour date at Carnegie Hall. Sept 29: Symphony Ball. The gala features Muti and a special one-night appearance by the violinist Anne-Sophie Mutter in the Mendelssohn Violin Concerto. Yo-Yo Ma and his Silk Road Ensemble Oct. 13. Saint Paul Chamber Orchestra in a rare opportunity to hear three “water” works by the late lion of the mid-20th century avant-garde John Cage (“Water Walk,” “Inlets” and “…sea, lake and flowing water like rivers…” April 21, 2013. Pianist Peter Serkin performing Tōru Takemitsu’s “riverrun” with conductor Juanjo Mena May 16-21. Jaap van Zweden conducting “Liquid Interface,” a work which uses the recorded sounds of water in all its forms by CSO composer in residence Mason Bates, May 30-June 4, 2013. Muti conducting Siegfried’s Rhine Journey from Wagner’s “Götterdämmerung” June 13-15, 2013. 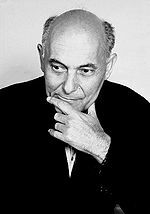 Oct. 21: Sir Georg Solti 100th Birthday concert. The CSO’s eighth music director and legendary conductor will be honored with a concert featuring tenor Plácido Domingo, soprano Dame Kiri Te Kanawa and bass René Pape singing selected arias, with Lady Valerie Solti as host and Valery Gergiev conducting. Nov. 14-18: Centennial of Stravinsky’s “The Rite of Spring.” Charles Dutoit will conduct performances of the landmark work as part of regular subscription concerts and also in multimedia “Beyond the Score” presentations. The latter alternative is designed to invite in-depth exploration of a single piece with dramatized commentary and audiovisual enhancements. The CSO’s “Beyond the Score” productions are utilized by orchestras throughout the country. All-Beethoven program featuring the “Eroica” Symphony and pianist Radu Lupu in the First Piano Concerto, Jan. 9-15. Bach’s Mass in B Minor, a monumental Latin mass completed in 1749, shortly before his death. April 11-16, 2013. Vivaldi’s Concerto in A Major for Strings, Mozart’s “Prague” Symphony (No. 38) and Beethoven’s Symphony No. 4, April 18-23, 2013. Scriabin’s “The Divine Poem” June 6-11. Russian composer Alexander Scriabin (1872-1915) was an early-modern composer and mystic with an intricately worked out system of color as it related to the different keys in which music was written. Muti believes Scriabin is overlooked. He said that he hopes to do a complete cycle of Scriabin symphonies in a future season. CSO’s principal trumpet Christopher Martin will play the world premiere of Christopher Rouse’s trumpet concerto, commissioned by the CSO, Dec. 20-22. Pierre Boulez will conduct the first CSO performance of Messiaen’s 1960 “Chronochromie,” a major work of the 20th century that somehow slipped by. It’s perhaps serendipitous that CSO conductor emeritus Boulez, one of Messiaen’s early champions, will bring the work into the fold. The CSO will introduce “Mississippi River,” by the African American composer Florence Price, (1887-1954) whose Symphony in E Minor was performed by Frederick Stock and the CSO at the Chicago World’s Fair in 1933. It was an extremely early date for compositions by either African Americans or women to be recognized. Her “Mississippi River” suite, described as an homage to the folk songs of the antebellum south, was written in 1934. Bernard Haitink, conductor: Beethoven Missa Solemnis, Oct. 25-27. Sometimes called “the greatest piece never heard,” the deeply arresting Catholic mass is a grand 90-minute work for large chorus, orchestra and four soloists. Semyon Bychkov, conductor: Mahler Symphony No. 3, which can be viewed as his pastoral symphony, with six movements representing a personal interraction with the natural world. Nov. 1-3. 35-year-old Russian conductor Vasily Petrenko; with CSO concertmaster Robert Chen, violin: Shostakovich 10th Symphony, Barber Violin Concerto, Dec. 6-9. Esa-Pekka Salonen, conductor; Yo-Yo Ma, cello: Sibelius Symphony No. 7, and the Lutoslawski Cello Concerto, which you can sample in a sneak peek here, Feb. 28-March 2, 2013. Pierre Boulez, conductor; Michael Barenboim (son of 9th CSO music director Daniel Barenboim), violin: Wagner “Siegfried Idyll” and Prelude to “Parsifal,” Schoenberg Violin Concerto, Mahler Adagio from Symphony No. 10, March 14-16, 2013. Mitsuko Uchida, conductor and piano: Mozart Piano Concerto Nos. 17 and 22, “Eine kleine Nachmusik,” March 28-30. Carlos Miguel Prieto, conductor; Jean-Yves Thibaudet, piano: Ginastera “Panambi” Suite, Saint-Saens Piano Concerto No. 5, Revueltas “La noche de los Mayas,” May 23-28. The exceptionally enticing lineup begins with an appearance by Murray Perahia on Oct. 14. Andras Schiff plays Bach’s Well-Tempered Clavier, Book I, Nov. 4. Louis Lortie offers a program devoted to Wagner transcriptions by Liszt and others Jan. 20. Angel Hewitt plays Bach, Debussy and Ravel Feb. 10, 2013. Paul Lewis performs three late Schubert sonatas March 3, 2013. Pierre-Laurent Aimard devotes his recital to Debussy’s Preludes, Books I and II April 7, 2013. Jorge Federico Osorio pairs Brahms’ Variations and Fugue on a Theme by Handel with Mussorgsky’s original piano setting of “Pictures at an Exhibition” May 5, 2013. Marc-André Hamelin bookends water-themed selections with sonatas by Berg and Rachmaninoff May 19. Alice Sara Ott winds up the series with Liszt’s “Grandes Etudes de Paganini” and works by Mozart and Schubert June 2. Photo captions and credits: Home page and top: Riccardo Muti (Todd Rosenberg). At right: Gautier and Renaud Capuçon. Sir George Solti (Allen Warren). 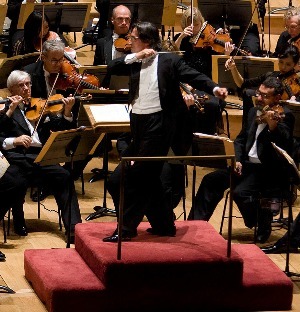 Riccardo Muti conducts (Todd Rosenberg). 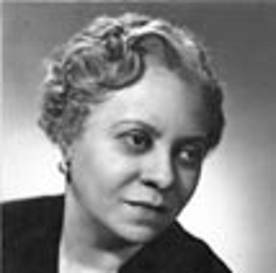 American composer Florence Price. 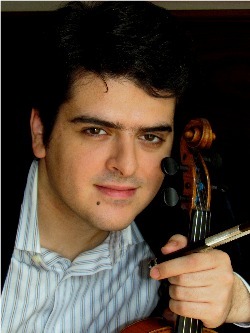 Violinist Michael Barenboim. 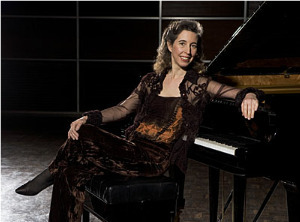 Pianist Angela Hewitt (Peter Hundert).